A new game “LockOn: Flaming Cliffs” is available for purchase. It is developed on the basis of “LockOn: Modern Air Combat” flight simulator. The new game is a further development of the previous version. 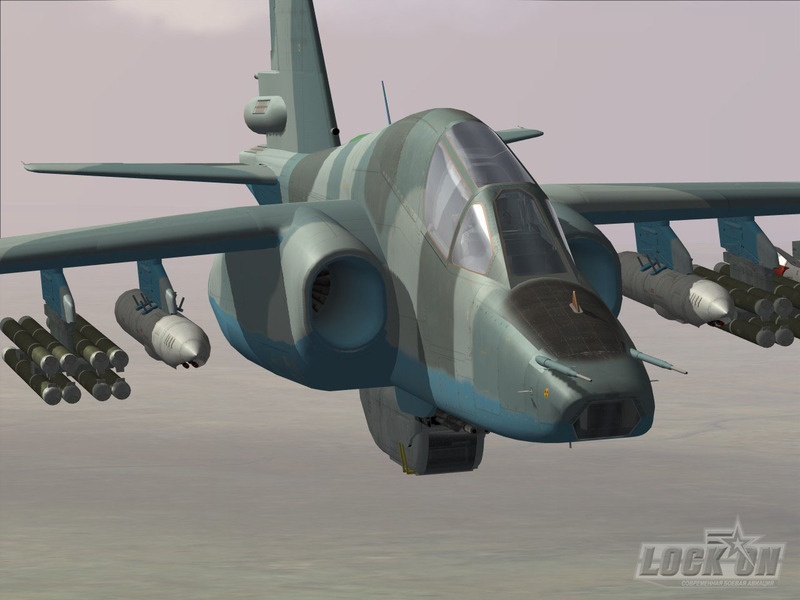 In addition to the available aircrafts players are given a possibility to try in combat a new aircraft Su-25T intended for ground targets attack with high-accuracy weapon. This aircraft is more efficient for the enemy’s armored vehicles fighting. While developing the game especially great attention was paid to the realism of weapon systems, avionics, flight dynamics and Su-25T aircraft physical characteristics modeling. However, a game aspect has not been overlooked. The developed campaigns and video-clips made on LockOn graphics engine contribute to the player’s full immersion into the atmosphere of severe combat collisions which take place on the territory of post-Soviet Caucasus. Adjusted and added additional documentation. Full version on CD: English version is available on Natural Point, based in the USA, www.naturalpoint.com; Simware, based in Belgium, www.simw.com; RC Simulations, based in the UK, www.rcsimulations.com. Boxed version contains: Flaming Cliffs with StarForce Professional keyless protection, User Manual in PDF format, Pilot Manual in PDF format, Terrain textures for four seasons. Web site download: Download the add-on to Lock On: Modern Air Combat (Lock On: Modern Air Combat required). — The English version can be downloaded from www.LockOn.co.uk. Payment is processed via PROTX and the download is approximately 750 MB divided onto 3 parts: Flaming Cliffs, Season Pack and Movie Pack. The add will works with English, German and French versions of Lock On. Back to Homepage for more.